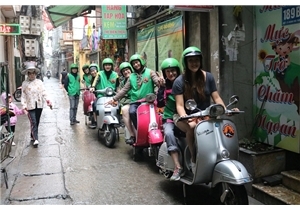 Hanoi vespa scooter ,and an other lovely name is hanoi scooter tours ,xotours or call us paloma motorbike tours - we are the first company organise vintage vespa tours in hanoi , a dynamic, professional, comprehensive team! 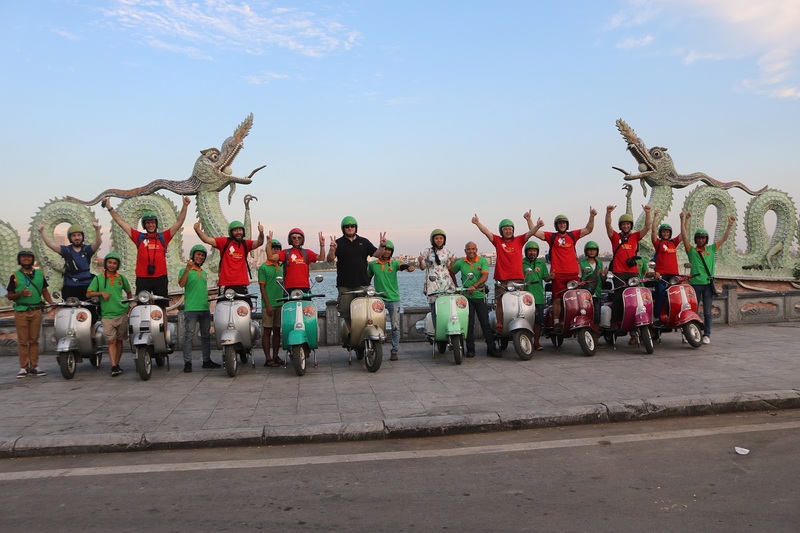 We are proud of our Vietnamese culture, we love to share and we are delighted in introducing travelers to our interesting local people, culture and fascinating highlights around us. 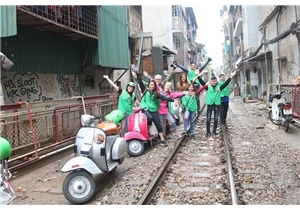 Whether you look for a private oversea adventure experience, family holiday, honeymoon vacation or travel by theme, HaNoi Vespa Tours opens both the front and back door to experience the real Vietnam.and to see real of hanoi people life, welcome to joining with us we would bring you have best fun in hanoi with vespa tour ,and joining with us for multi day trip to understand more real vietnamese culture ! 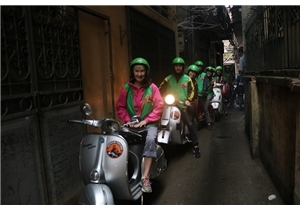 Ha Noi Vespa Tours vespa scooter tours is a private Vietnamese-owned company and is based in Hanoi. Founded in 2013 our goal is to provide travelers with a unique and authentic experience that get an insight into the local culture and that are off of the beaten tourist path. We offer trips created by our own team that were carefully selected. 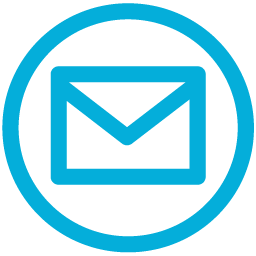 Our destinations and the paths we use they are like no others because we believe with lonely planet books and internet you can easily visit the tourist areas by yourself. 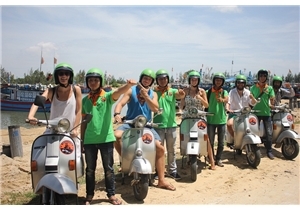 My name is Khang and I felt in love with the girl named “Vespa” since I was student at university. I tried to save through working part time jobs at travel agents, restaurants, bars and finally my dream came true at the end of the first year in 2006. 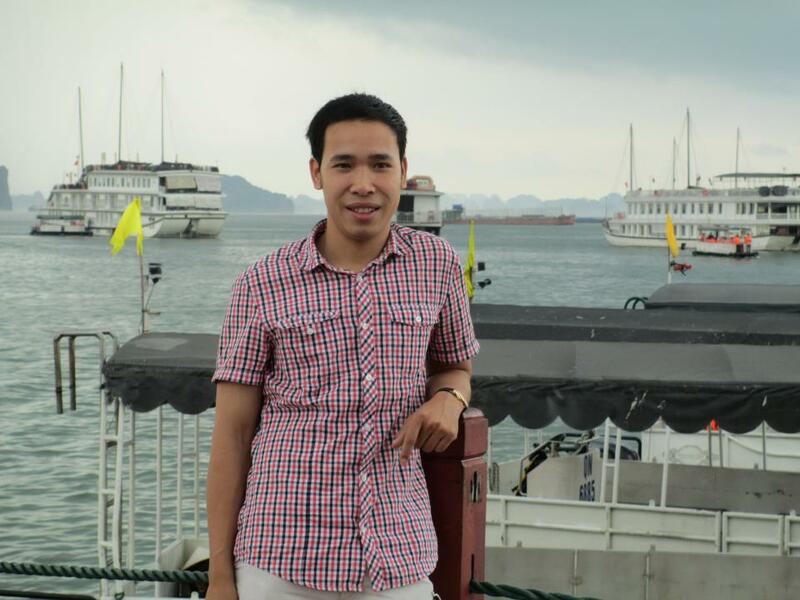 I was so delighted that I drove home in the middle of the night which was 280 km from Hanoi. It was also my first scooter in my life. After graduation I worked as a motorbike guide traveling North West and North East on long adventure trips then a local guide in Hanoi for 5 years. 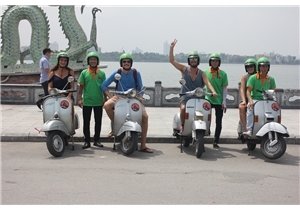 My love for traveling grows stronger and stronger and in early 2013 The Ha Noi Vespa Tours was born as I want to share with my fellow travelers the experience of a life time that they should not miss!